As Public Relations Director for California Sports, Inc., Bob Steiner over¬sees public, media and community relations for the Great Western Forum and events that are held there, including the Los Angeles Lakers and Los Angeles Kings. Bob, who attended Hamilton High, Santa Monica and Los Angeles City Colleges, was the assistant sports information director at the University of California-Berkeley while he was still an undergrad. He served as campus correspondent for the Associated Press, and was an accredited journalist for AP at the 1960 Olympic Games in Rome. He moved up to Berkeley’s Sports Information Director in 1963, and held the position thru 1974. Bob was color announcer for UC Berkeley football and basketball radio broadcasts, as well as a summer staff member of the Berkeley Gazette and assistant sports editor of the Daily Californian. After leaving his alma mater, he was in charge of public relations for the International Track Association and World Team Tennis. Steiner was a member of the Board of Directors of the Southern California Committee for the Olympic Games in 1979, in charge of publicity until the establishment of the L.A. Olympic Organizing Committee. He later was a member of the Public Relations Advisory Committee of the LAOOC, and Public Information Manager of Athletics (track & field) for the 1984 XXIII Olympiad. 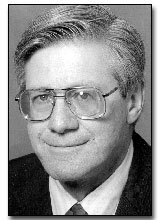 From 1978-1983, Bob was senior lecturer at the University of Southern California, and helped initiate a degree granting a major in Sports Information.